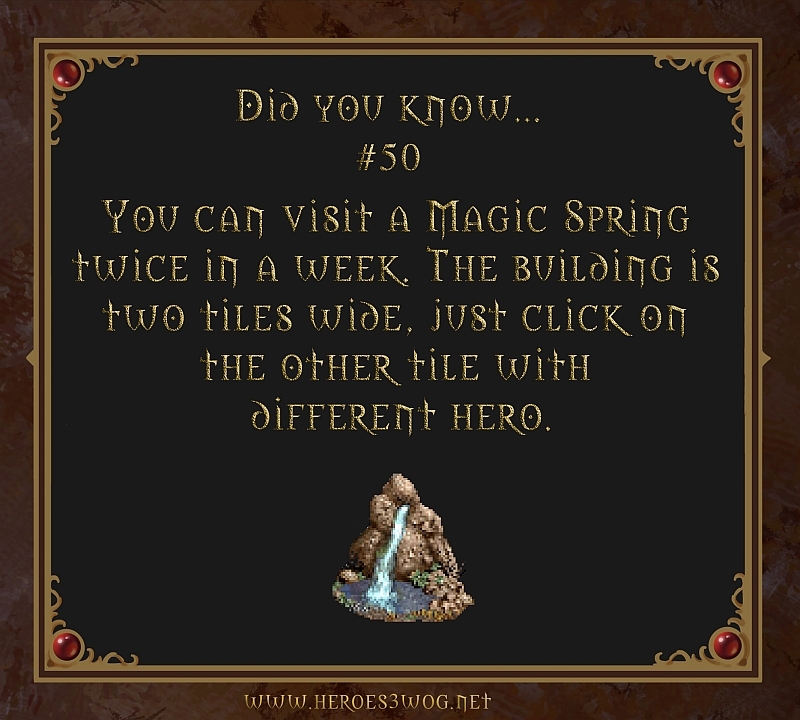 #50 You can visit a Magic Spring twice in a week. The building is two tiles wide, just click on the other tile with different hero. #49 Nomad’s sandwalker special ability causes hero to ignore terrain penalty on sand. 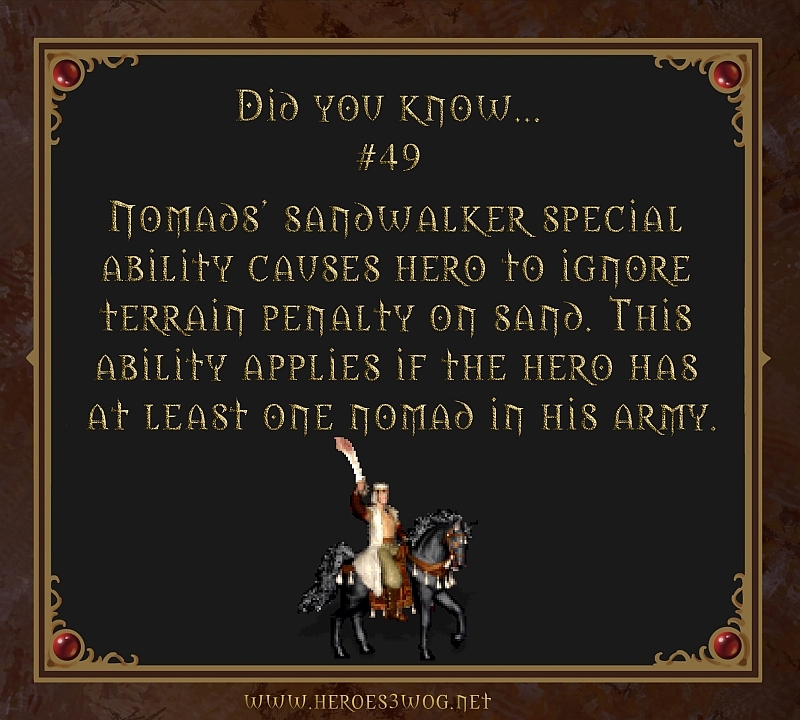 This ability applies if the hero has at least one nomad in his army. #48 A hero can visit any movement providing map object as many times as he wants, as long as he fights between revisits. 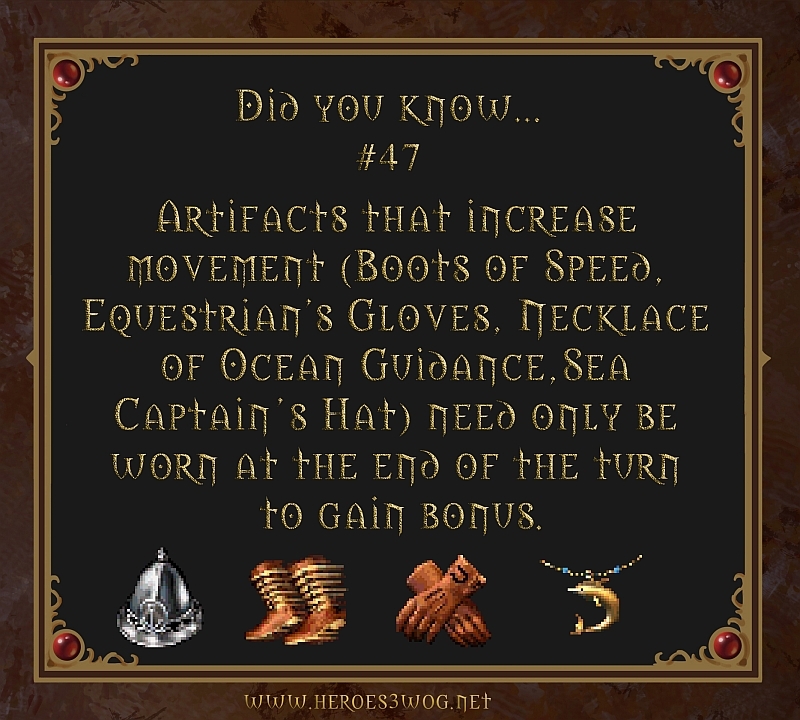 #47 Artifacts that incrase movement need only be worn at the end of the turn to gain bonus.